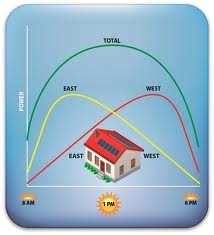 TRACKING the maximum power point (MPP) of a photostatic (PV) array is usually an essential part of a PV system. As such, many MPP tracking (MPPT) methods have been developed and implemented. The methods vary in complexity, sensors required, convergence speed, cost, range of effectiveness, implementation hardware, popularity, and in other respects. They range from the almost obvious (but not necessarily ineffective) to the most creative (not necessarily most effective). 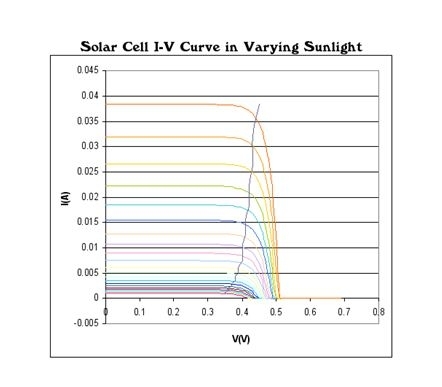 In fact, so many methods have been developed that it has become difficult to adequately determine which method, newly proposed or existing, is most appropriate for a given PV system. 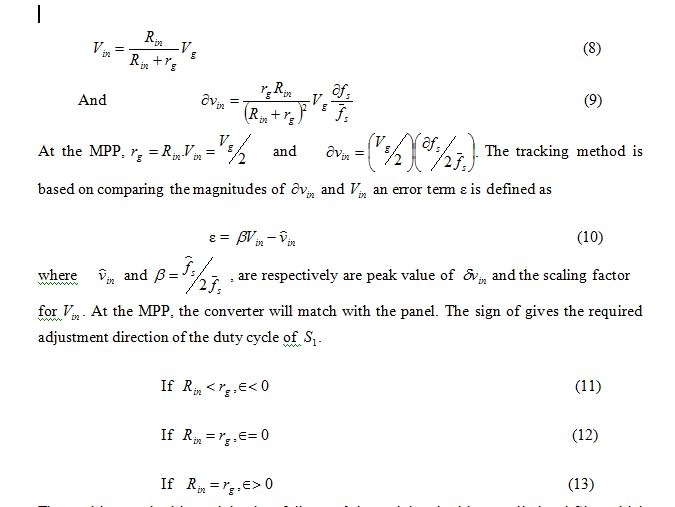 Characteristics of the converter, in which has small-signal variation of subject to a small-signal change of . If the switching frequency of of is modulated with a small signal sinusoidal variation. By differentiating (7) it can be shown that…..